I did not grow up with video games, but I did play computer games—my all-time favorite game, which should come as no surprise given my love of Disney Imagineering, was Roller Coaster Tycoon. 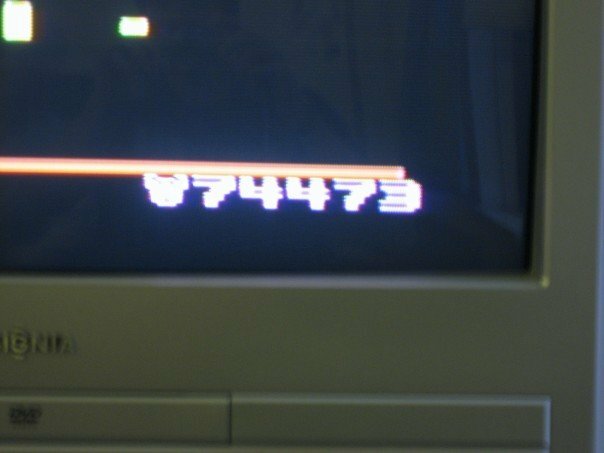 At some point when I in my early teens, we acquired a CD-ROM of old Atari games, and I quickly became addicted to Centipede. I got really good at it. We got another version later that plugged in to the TV, and I’ve also played it at the Starcade at Disneyland. My college friends were impressed that despite my general lack of video game knowledge, I could kill it at Centipede. For those of you who have never played, there is a version available online! It is not my preferred way to play because using the mouse as a controller makes it hard to navigate, but it’s still pretty fun. Being good at Centipede is something that I will brag about without reserve, mainly because it is an entirely useless skill, and bragging about it doesn’t actually mean anything. Bragging about Centipede skill is essentially making fun of myself. But! I am the Centipede champion.